Experience the elegant university city of Oxford with this handy, pop-up map. 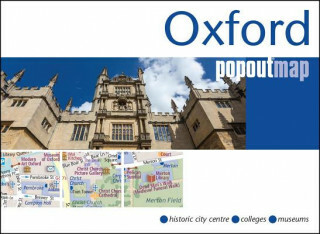 This genuinely pocket-sized city map of Oxford features a detailed street map of Oxford as well as advice on the top things to see while you're there. Ideal to pop in a pocket or bag for quick reference while exploring this gorgeous city.